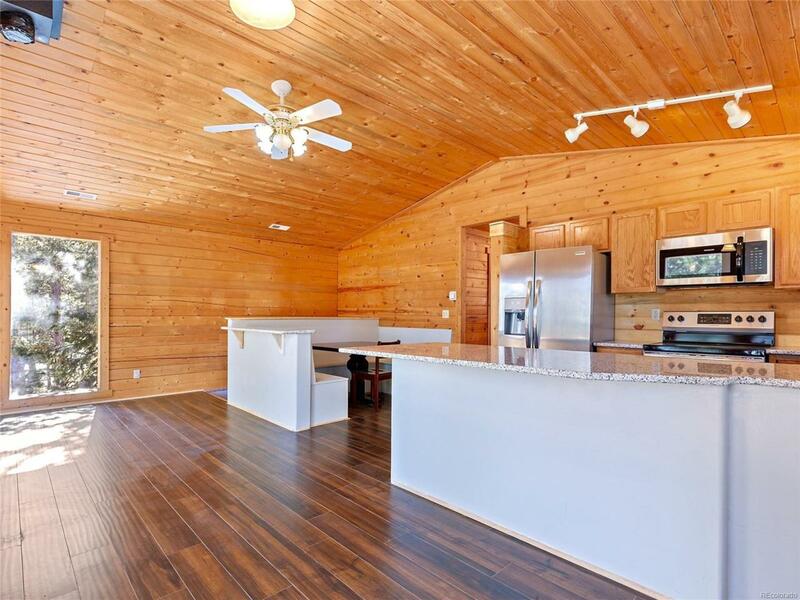 Beautiful log home is move in ready, nicely updated, with a park like setting. Ideal location just minutes to the main highway makes for an easy commute to the metro area that stays pretty consistent year round. This home is at the end of a cul-de-sac and has a quiet, private, nicely treed, gentle lot that is ideal for full time living, or as a second home. Life is good! 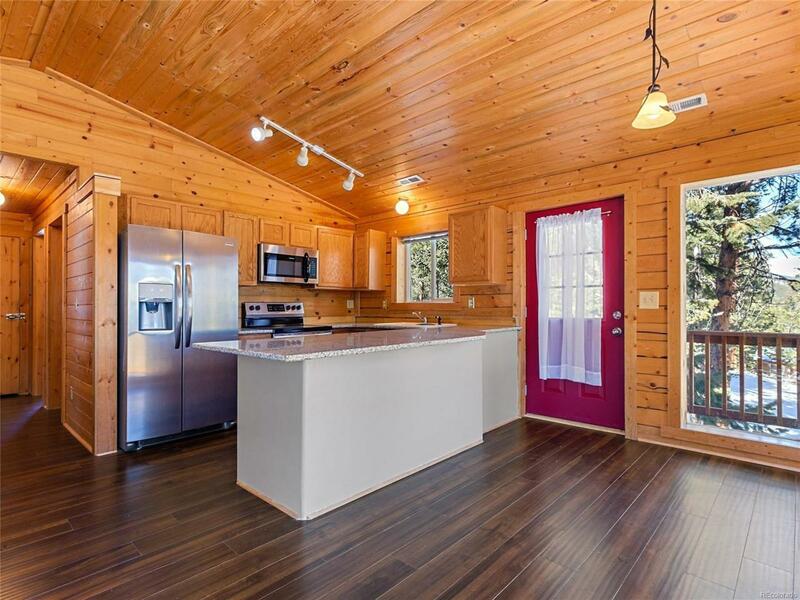 Whether your on the deck to take in the warmth of the sun and watch the wildlife, reading a good book while listening to the wind in the trees, or plotting your next adventure, you will treasure your time at home. 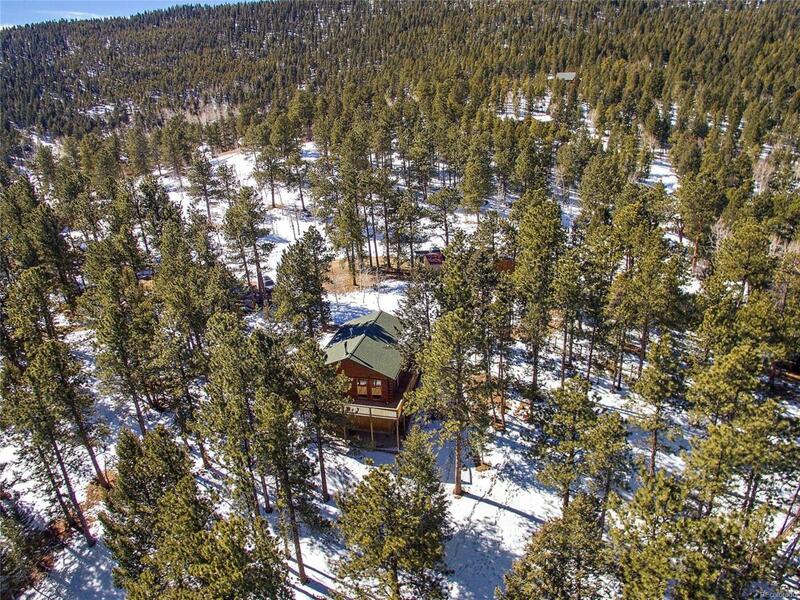 Minutes to area activities including; disc golf, hiking, biking, climbing, skiing, trail riding, and incredible fishing. 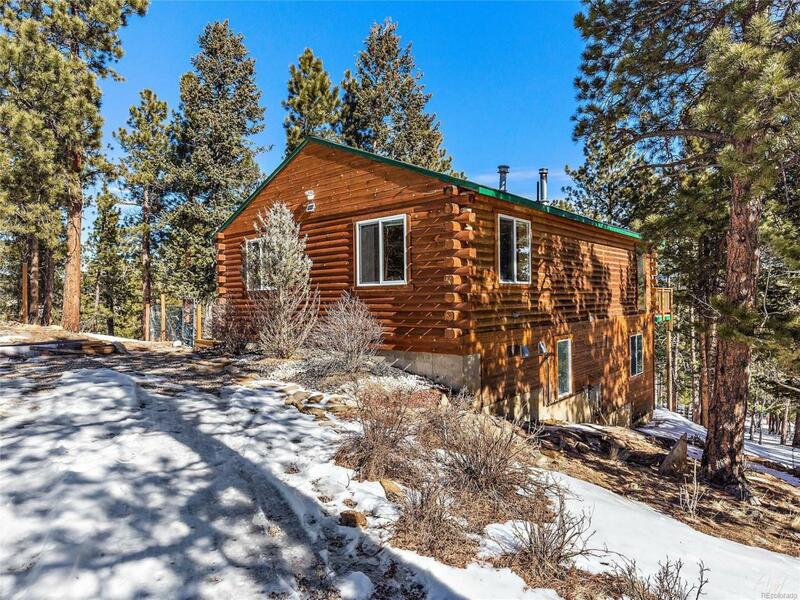 Gentle easy access with only 2 stop lights to DIA, but you will not want to leave home! Come see it before its gone.